The Flop House Episode Sixty-Eight is ONLINE! At long last, all three of our intrepid co-hosts have returned, which can only mean one thing -- finally we get to do the CONTEST-WINNER-SELECTED MOVIE! And what movie has he selected? The wish-fulfillment-for-tween-girls-of-the-late-80's spectacular Teen Witch. Meanwhile Elliott explains the new Subway Teenwich, Dan objects to Gawker's misuse of the English language, and Stuart reveals his new erection-based rating system. *A correction -- Dan says that the director of The Invisible Maniac also did The Hazing. He was thinking of Rolfe Kanefsky who helmed the similarly "using supernatural powers to see naked ladies"-themed movie Pretty Cool. The Invisible Maniac was by Adam Rifkin who went on to Hollywood projects like Detroit Rock City. Elliott is hosting another Closely Watched Films screening, this one of the great 1936 drama "Dodsworth", the somehow uplifting story of the dissolution of a marriage. Check out Dan's Halloween article over at Whim Quarterly. Thanks to Mark Delabarre, Paul Jones, Gil Zabarsky, Alex Flores, Austin Torelli, Emily Kinney, Jane Gabbert, Sarah Lord, and Gabriel Millman, none of whom will probably see this, but all of whom were amazing in my screenplay reading. If anyone was actually interested in making the movie, you'd all get cast, as far as I'm concerned. And, of course, thanks to Shira-Lee Shalit for directing and Susane Lee for arranging the event. To have a great cast perform your material--every writer should have such a wonderful experience. Dan Has a Screenplay in the Writers Guild of America East Reading Series! Get your tickets now to see the latest performance in the WGAE/WGAE Foundation's Screenplay Reading Series. Excerpts from original screenplays by Guild members will be performed with a top-notch cast. WGAE & JCC Members Ticket price $8.00 Please call 646-505-5708 to purchase. Nonmembers: Ticket price $10.00 Click here to buy online. Orientation by Dan McCoy is about teenager Eric Hardy whose college prospects haven't been helped by an indifferent guidance counselor and his mother's mysterious illness. Still, he never would have knowingly applied to a university run by demons, even as a safety school. Sure, his adventures in matriculation involve making friends with Stuart, the cool guy across the hall, and falling for the spunky and self-possessed Claire. But they also include protecting himself and his dorm-mates from being actually possessed. Turns out, his college is just a front for a hellish recruitment station, and Eric needs to defeat faculty, upperclassmen, and alums (including his own brother) if he hopes to survive welcome weekend. Elliot Bloom Gets Shot by William Farmer is about Elliott Bloom, a middle aged writer whose life is going nowhere, and who blames his misery on everyone and everything around him. He has alienated all his friends and loved ones with his arrogance, constantly flaunting his genius-level IQ and considering himself the only intelligent being in a world of fools. An anti-social outburst lands him in a small town jail, where the local librarian, a woman named Pine Davies, recognizes his pain as well as his potential and becomes fascinated by him. Faced with the opportunity for yet another grab at career success, Elliot must choose between a last shot at the fame and fortune he feels he deserves, or the simple comfort of remaining with Pine and living out what's left of his life in anonymity "among the fools." Complicating the matter is the fact that he's losing his mind, as characters from his unpublished "great American novel" refuse to stay on the page, inconveniently manifesting themselves in an attempt to influence his decision to their advantage. WGAE President Michael Winship, Emmy Award-winning senior writer of Bill Moyers Journal will lead a Q & A after the readings which are produced by WGAE lifetime member Susane Lee. John Kingman is INVITED to join Stu and Dan for a discussion of The Uninvited. See what we did there? Sigh. The quality of our clever intros is slipping just as much as the likelihood of all three co-hosts being in a room together. But that doesn't keep this second Shocktober episode from being shocktastic. Meanwhile, Dan reveals a surprising knowledge of Alanis Morrisette's ouvre, Stuart turns the audience into his personal assistants, and John patiently waits for an introduction that's a long time coming. Dan's screenplay (well, 20 pages of it) gets a staged reading by professional actors, along with an excerpt from another "hot screenplay" (as the press release puts it), courtesy of the WGA East, THIS MONDAY, October 18 at 7:30 PM at the JCC in Manhattan, 334 Amsterdam Ave, at 76th St.
We come roaring... well, stumbling, back with 2/3rds of The Flop House crew, plus Spanish-language podcasting superstar Federico Hatoum. And the good news is, we've returned in time for Shocktober, with the incorrectly-named Blood: The Last Vampire. Meanwhile, Elliott and Dan engage in a competition as to who can get divorced first, and Fed beguiles us with the beauty of his native tongue. 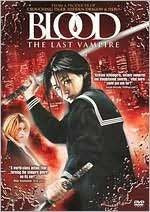 8:48 - 28:49 - We talk about Blood: The Last Vampire... or, more accurately, "CG Blood: The Last Vampire." 34:37 - 47:54 - PLUGS! which eventually devolve into a series of mouth-sounds. 47:55 - 58:52 - The sad bastards recommend. 58:53 - 1:00:12 - Goodbyes, theme, and outtakes. Listen to guest host Fed Hatoum's hit Spanish-language Mac podcast PuroMac... if you speak Spanish. And like Apple products. Elliott screens The Black Cat as part of his series "Closely Watched Films" at 92Y Tribeca, 200 Hudson St., Manhattan, on Wednesday, October 6 at 7:30 PM. 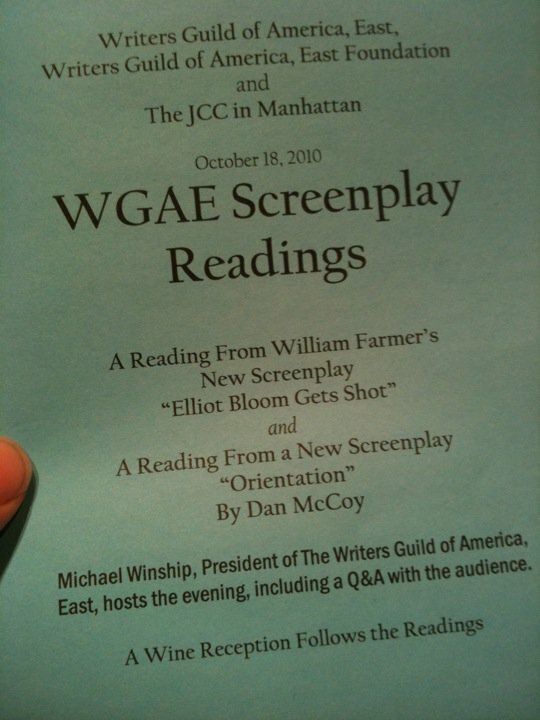 Dan's screenplay (well, 20 pages of it) gets a staged reading by professional actors, along with an excerpt from another "hot screenplay" (as the press release puts it), courtesy of the WGA East, on Monday, October 18 at 7:30 PM at the JCC in Manhattan, 334 Amsterdam Ave, at 76th St.